The faithful of the Evangelical Reformed Church were gathered in a hall in Bandung, when dozens of people stormed interrupting the choir and dispersing the crowd: "You cannot celebrate in a place that is not a church." 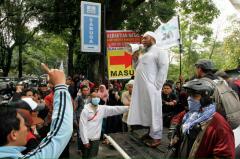 Jakarta (AsiaNews) - A large number of Protestant Christians gathered for a celebration ahead of Christmas, were stopped and dispersed by a group of Islamic radicals, who protested against the meeting and threatened them. The incident happened yesterday at Sabuga Hall in Bandung, capital of West Java province. The faithful belong to the Evangelical Reformed Church and are followers of Stephen Tong Eng Tjong, an ethnic Chinese pastor, teacher and musician. The evangelical community belongs to the Messiah church in Jakarta, one of the largest places of worship in South-East Asia. The Christians had gathered in the afternoon to listen to the pastor's words and his "religious Strengthening" program (Kkr). In late afternoon, dozens of Muslims started to gather outside the hall. The radicals then entered the building, interrupting the choir that was singing on stage and dispersing the crowd with violence. The thugs criticized the Christians for conducting religious activities in a place (the Sabuga Hall) not equipped for this use. They also dispute Stephen Tjong Eng Tong’s preaching, accusing him of working "miracles" and manipulating the crowds to convert them. Responding to accusations organizer Didi, Kkr, said the event could not be conducted in a church because the number of participants was too high. According to a report of November 2015, the province of West Java is the worst in the country for religious intolerance. Indonesia is the most populous Muslim nation in the world, and the Constitution guarantees personal freedoms (including that of worship). In recent months, however, they have been several outbreaks of intolerance. 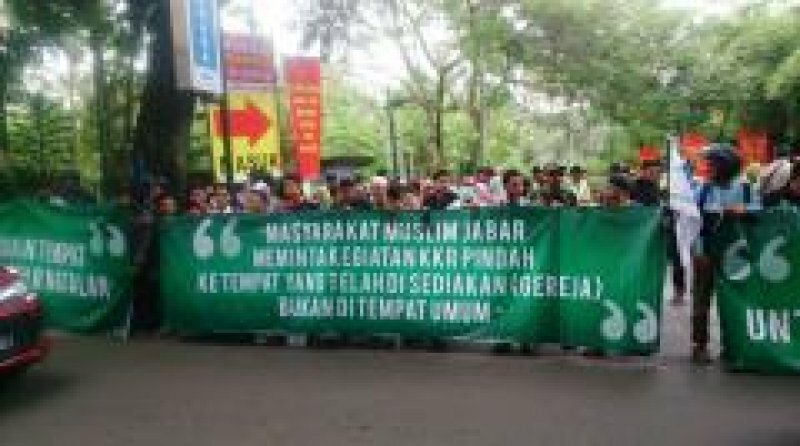 On September 23, dozens of Islamic fundamentalists protested in front of a Protestant church in Makassar (South Sulawesi), contesting the building permits. On 12 September, a teacher and Catholic catechist was shot dead by unknown assailants in the Puncak Jaya district, Papua province. On 7 September a group of Islamic radicals interrupted the celebration of the Mass in a parish in Surakarta (Central Java).